A myomectomy is a surgical procedure that involves removal of uterine fibroids called leiomyomas. These growths are noncancerous and can appear at any age, but are more common in women during their childbearing years. While removing the fibroids, the surgeon will also reconstruct the uterus, so it remains intact. A myomectomy is a relatively safe procedure, but that doesn’t mean that there are no risks. There are potential complications anytime you undergo surgery. 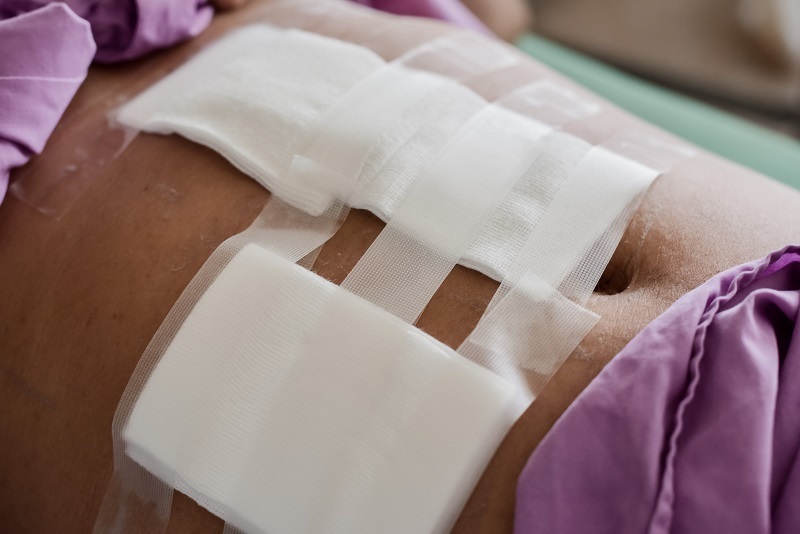 Incisions made could cause problems during childbirth. Your doctor may advise you to have a C-section. Scar tissue can also form in or around the uterus which can cause infertility. If the surgeon discovers abnormalities during the myomectomy, they may have to remove the uterus. This situation is extremely rare. Your doctor should go over all the preparation requirements for your myomectomy. You should keep them informed of any health changes and medications you take, including supplements. Make arrangements to have someone available to pick you up after the procedure. You may be required to stay in the hospital overnight or for a few days. An open myomectomy is the most common and involves an incision from below the navel to the pubic bone. It’s a larger incision that allows all fibroids to be removed. Patients will require more time to heal, and there is a greater risk of complications. A laparoscopic myomectomy is minimally invasive and can be used to remove fibroids from the exterior of the uterus. This procedure may not be as effective when removing high quantities or large fibroids. A third option is the LAAM-BUAO or Laparoscopic Assisted Abdominal Myomectomy. This procedure uses two incisions and is designed for fertility purposes. Make an appointment with your Women’s Health and Menopause Center OBGYN to learn more about which myomectomy is right for you.